Kristen Stewart and Charlize Theron both attend Met Gala!! Kristen in Chanel and Charlize in Dior!! "Charlize Theron hits the stage for her opening monologue on Saturday Night Live on Saturday (May 10) at NBC Studios in New York City." "EXCLUSIVE:Drake Doremus is casting up his next film Equals for an early 2014 start, and I hear he is courting The Twilight Saga‘s Kristen Stewart and Warm Bodies and X-Men: Days Of Future Past starNicholas Hoult to be the young couple that anchors this science fiction tale penned by Nathan Parker (Moon). " Thanks Anna Egle and Digital Spy!! Thor Dark World UK Premiere Interviews!! Thanks to Clevver News for this great question!! 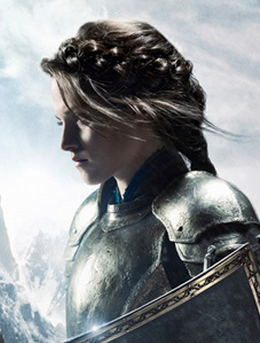 Please follow @jenannrodrigues and @SWATH4Fans as well as us for updates and more info about our watchalong. I might not be able to tweet that much from this account but you can go to the other two accounts that will be tweeting live during both watch alongs!! Also prizes and more!! Kristen is nominated for an MTV Movie Award as Snow White! Kristen Stewart is nominated for the "Best Hero" award at the MTV Movie Awards! The winner will be determined by who has the most hashtags on Twitter and Instagram. She is winning so far! Thanks to MTV for the nominating Kristen! “My curveball this year was at the Oscars when I found out Kristen needed to use crutches!” says Swennen. “I spent the morning of the awards show searching for appropriate flats for her injured foot.” The solution: Bloch silver ballet flats. This an an unofficial fan blog for the film Snow White and the Huntsman. Found something that we haven't posted yet? Help us out and send it to us! We are in no way affiliated with the film, its actors and producers, or Universal Studios. We are a non-profit site. No copyright infringement is intended. All the images are copyright to their respective owners. We try our best to give credit where credit is due, if we happen to miss something please contact us and let us know so we can correct it or remove it. SWATH Fansite only posts paparazzi pictures when the actor or actress seems generally comfortable and the picture is not in bad taste. We will also post photos from the set and of filming. However, we respect everyone's opinion and place the photos under a cut so you do not have to view them unless you want to.